Canary App 2.0.2 | Canary Blog. Version 2.0.2 of the Canary App is rolling out today on Google Play and the App Store. With the latest update, you can access Canary from more devices than ever, with iPad and Android tablet support, alongside brand-new Android Wear and Apple TV experiences. We’ve also made some minor tweaks to Emergency Options that give you better control of your Canary devices in case of a serious incident. 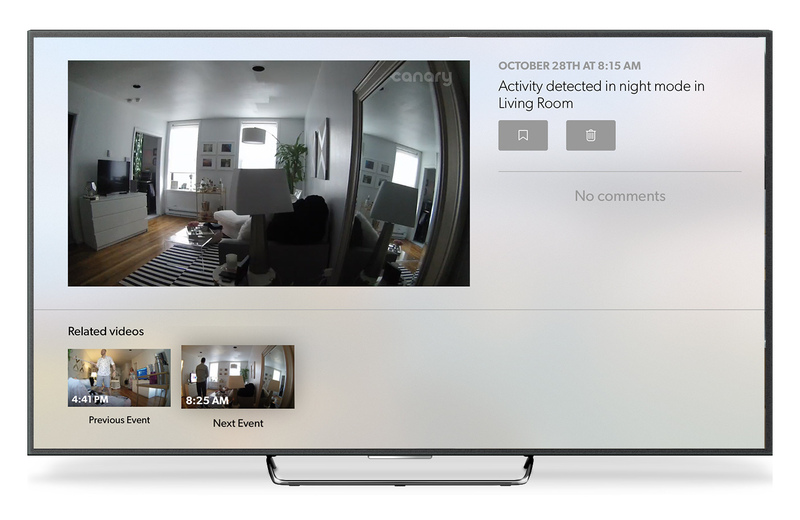 Canary is now available on tvOS for the latest Apple TV, so you can see your home on the big screen. Watch yourself live while you Watch Live. 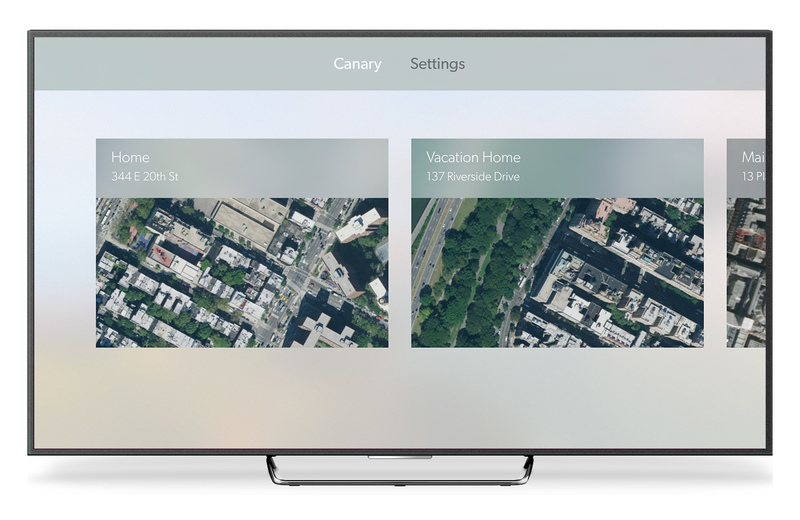 To bring Canary to the TV, we’ve simplified the experience so it’s easy to navigate with your Apple TV remote. For single device users, the app will open to the Dashboard view. From there, you can watch live or access your timeline. If you have multiple devices, you can use the Location view to navigate between locations. 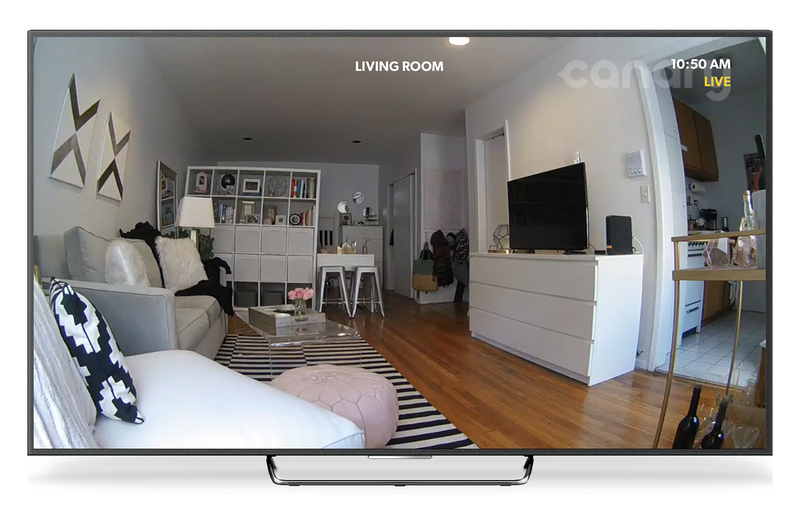 Check in on multiple locations from the comfort of your couch. From the Location Dashboard view, you can toggle between all or bookmarked events via buttons above the timeline—events are accessed by selecting the thumbnail. Tapping the Apple TV menu button will lead to a single entry view where you have the option to bookmark or delete the entire event. You can get to the previous or next event in your Timeline from Related videos. 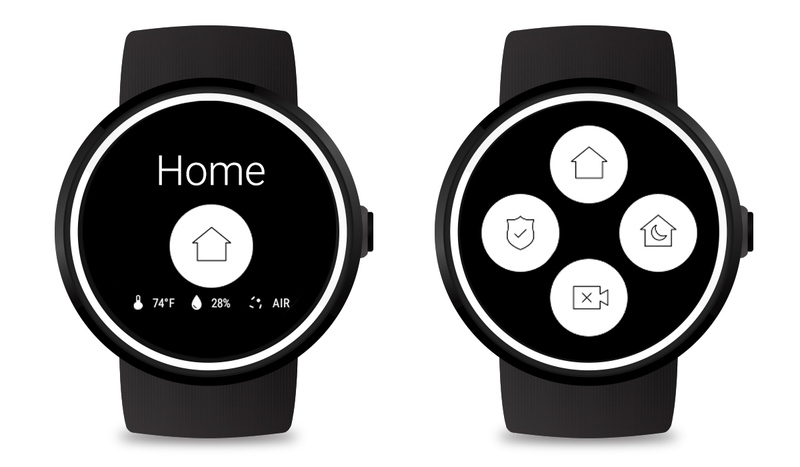 The latest update to our Canary app also adds support for Android Wear devices. 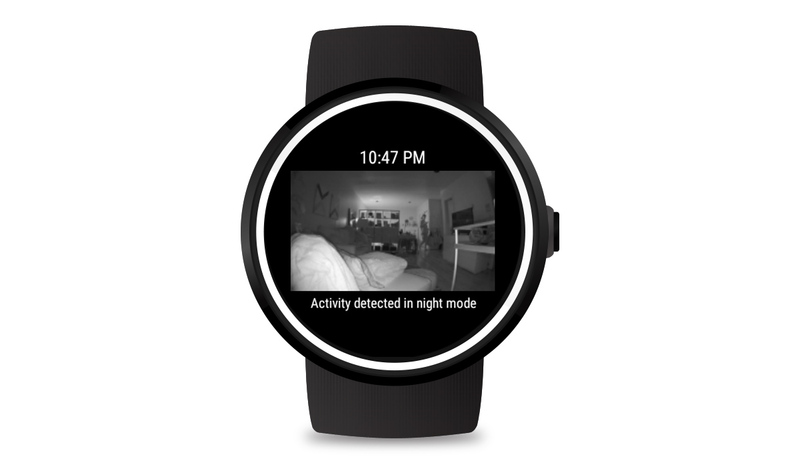 For those with a Moto 360, Huawei Watch, LG Watch or ASUS ZenWatch—to name a few—strapped to your wrist, you can now monitor your home with a few taps. Canary’s Android Wear app gives an overview of your location data including temperature and air quality. Long-pressing the Mode icon will let you change modes in a given location. Tapping on the image found in your Entry Screen will launch the event on your Android device. 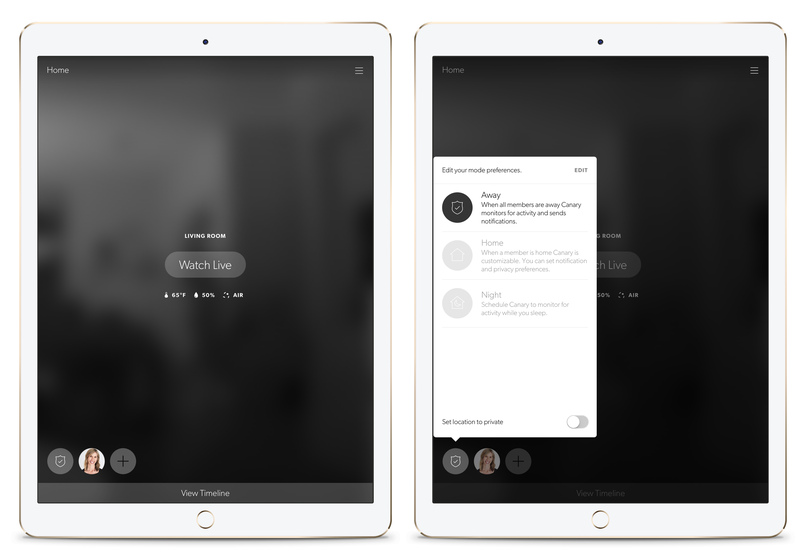 We’ve heard your pleas for iPad and Android tablet support and are excited to introduce a tablet app alongside Canary v2.0.2! You can now control your Canary using the same great app you already have on your phone, with some slight UI tweaks to make for a better experience on the bigger screen. Geofencing is disabled by default for iPad and Android tablets, so your Canary doesn’t think you’re home when you happen to leave your device there. If you bring your tablet with you, you can turn geofencing on from My Profile>Security and Privacy. The Canary app update also includes a few changes to Emergency Options to make them more intuitive for multi-device users, who can now trigger their Canary’s sirens individually or all at once. There are some tweaks to accommodate Canary Flex, too: if you have a Canary Flex and a Canary, the option to trigger the siren of the Canary will be visible, but if you only have Canary Flex, there will be no option to trigger a siren. Sound sirens individually or activate all sirens in a location at once. We’re working hard to make continuous improvements to the Canary experience, and it simply couldn’t happen without the feedback from our community. We’d love to hear what you think of today’s update: get in touch through the comments below, on Facebook or Twitter, or by email.